Instinct is inherent in all of us. Us too are wired a certain way thus we go to work then play. boys just play...men get the job done. done or over done steaks are terrible... i like mine rare! Missy Prissy had a rant Missy Prissy said "I can't", Missy Prissy is an aunt. Aunt Flo is a visitor whose departure is always welcomed. Truth is sought truth is found question next is were we're bound. 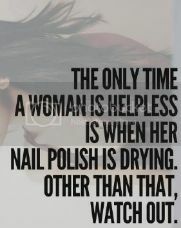 Hands can please any man or women when the are used correctly. Last edited by NaughtyAngel. ; 06-18-2010 at 03:44 PM. Woman came second, woman came last but without a one there would be no fun. Here is were we are and here is were we'll be till the butler comes to serve us tea. Tea for two what a treat that will be. Be here be there, what matters most is that we share.